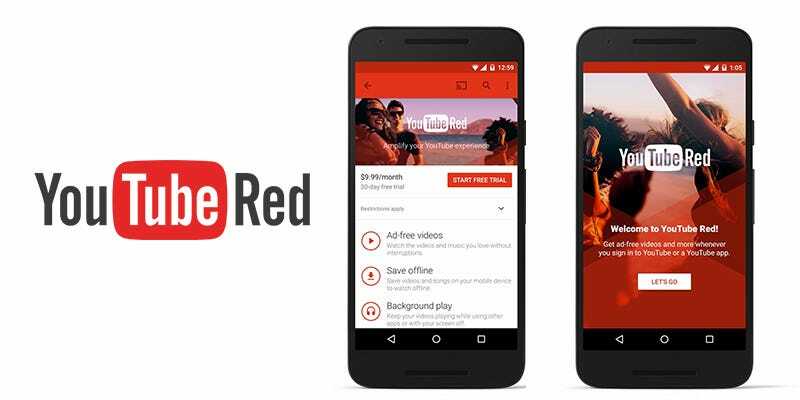 At the moment, YouTube Red is basically just regular YouTube, but with no ads and the option to save videos offline. But if a WSJ report is to be believed, YouTube is seeking streaming rights to TV series and movies, in the hopes of creating one video service to rule them all. The Journal’s sources have said that YouTube is in the process of meeting with Hollywood execs to “consider pitches and negotiate licenses for new content”. Presumably, that means current TV shoes and movies, the kind of stuff that’s under license, and therefore not available on YouTube for free. It’s worth noting, though, that YouTube has long had a smattering of pay-per-view movies available, so it’s not quite a stranger to licensing content. Netflix-style streaming of content would be a big change for YouTube. Since its founding, it has stuck fairly rigidly to the model of user-uploaded videos, paid for by ads. But YouTube’s already shaken that model up with Red, and with premium-only original content already on the way for next year, it’s no big leap to assume YouTube might want to integrate streaming as well. If it manages to secure streaming rights, Google might well have a killer media package on its hands: YouTube represents the very best of user-made content on the web, Google Play Music (included in the $10 a month charged for Red) is a very decent streaming service; chuck in binge-watching TV fodder, and you’d have a media full house.